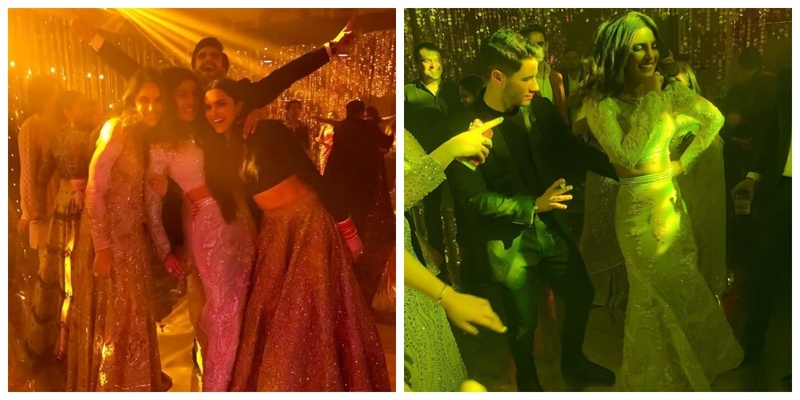 All the Exclusive Videos with celebs going crazy in Priyanka Chopra and Nick Jonas' Bollywood Reception! Priyanka Chopra and Nick Jonas’ reception last night is literally breaking the internet and HOW! It was a star-studded night with the who’s who of Bollywood and Sports world there to celebrate the special night of the couple and give them their best wishes. The livewire of Bollywood - Ranveer Singh, grabbed all the attention at Nickyanka’s reception (although there is hardy any party where he is not the centre of attention), as he circled around Deepika and Priyanka while they were dancing on Bajirao Mastani song “Pinga”. This literally was the performance I was waiting for and it finally happened. PC danced to her hit number - Desi Girl with Deepika, Ranveer and hubby - Nick Jonas on the side. N then Ranveer Singh decided to rap!!! Now, I seriously feel I have seen everything. Here’s yours truly signing off from updating you guys about the #Nickyanka’s wedding festivities and wishing this couple a lifetime of happiness!